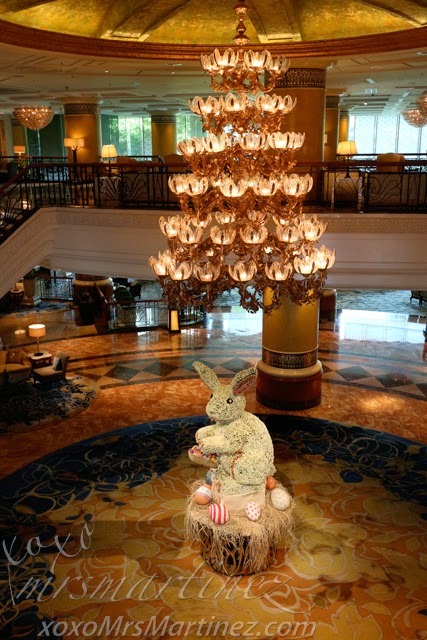 My family and I celebrated Easter by checking in for two nights at Makati Shangri-La Hotel. 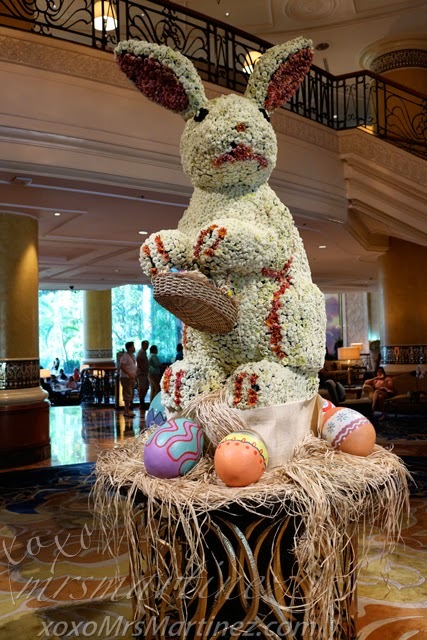 This cute Easter bunny made of flowers greeted us upon entering the hotel.... how cute! 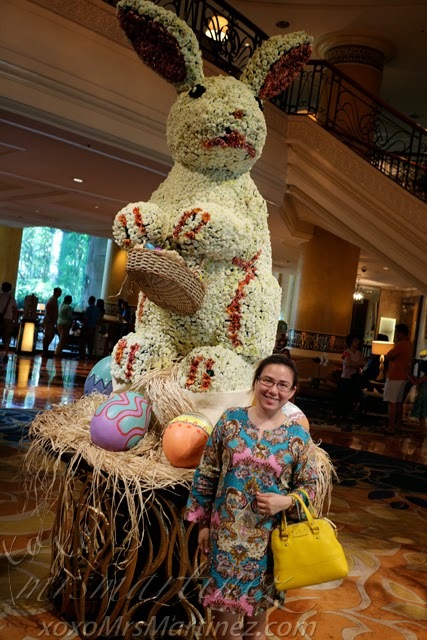 I saw some of the bigger kids took small eggs from the display hehe As usual, #babyMartinez was clueless as to what all the fuss was about but at least she said "eggs" when she saw them. 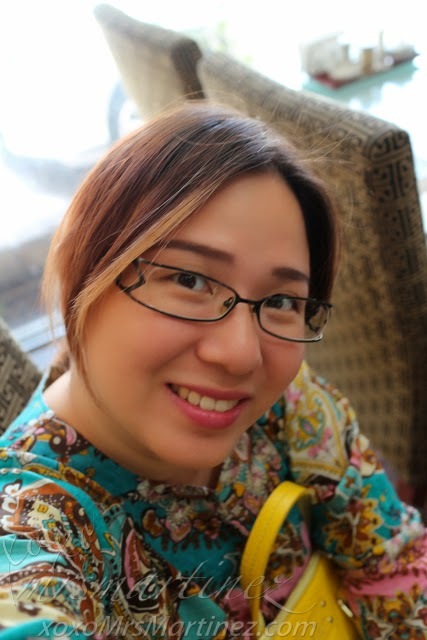 While I was in Malaysia, I fell in love with the blouses and dresses that the local women were wearing so I made it a point to buy a few pieces. I like this dress especially because it looks classy even though I only bought it for a few ringgit. 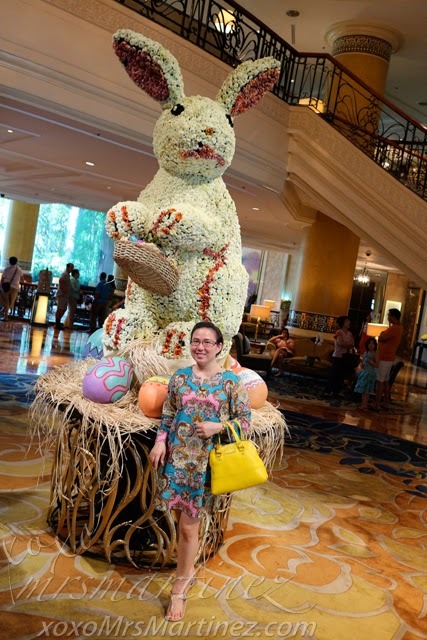 I took the following photos while we were having an Afternoon Tea at the Makati Lobby Lounge area. It was already past #babyMartinez's nap time and yet she was wide awake... argh! I brought her along for an Afternoon Tea where she was able to sleep soundly. 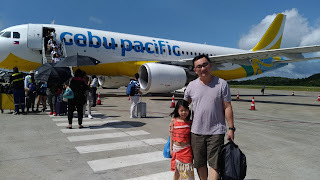 I brought this same pair of eyeglasses with me when I went to Malaysia because it has Transitions Lenses. I love it! I wanted to go all out with my shopping money but Malaysia was not on sale during our trip... so sad ; ( I was only able to buy a few clothes and this black onyx bracelet with elastic band. My dad loves photos so here's another one to add to our collection.